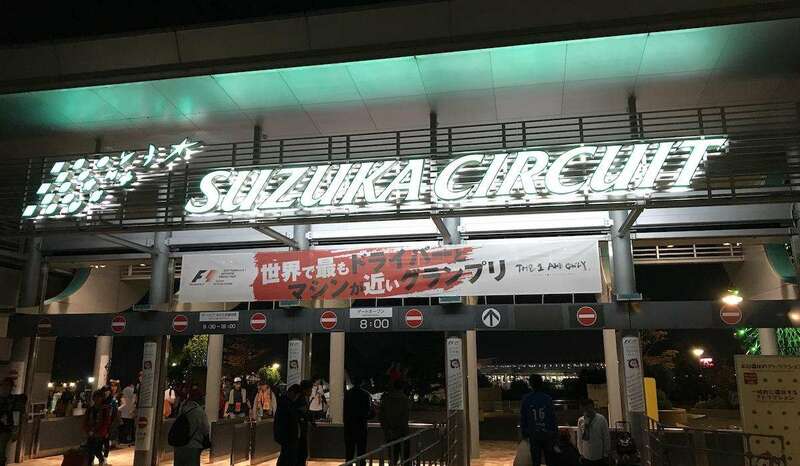 Your trackside guide to Suzuka, home of the Japanese Formula 1 Grand Prix. The next race takes place on October 5-7, 2018. 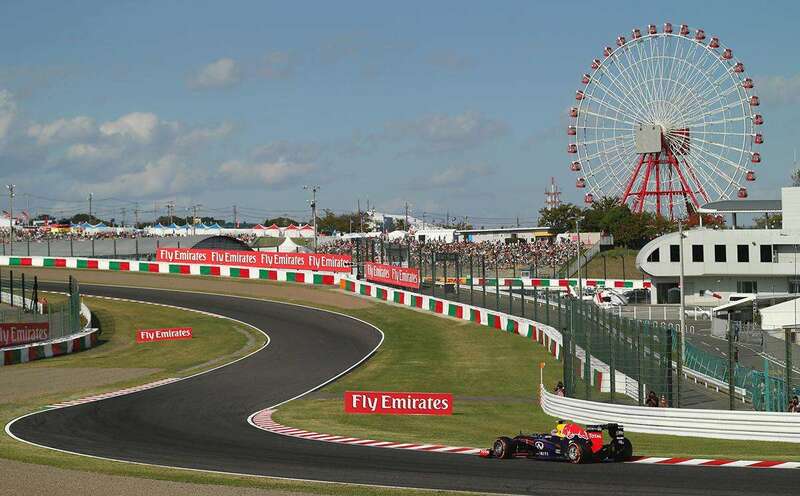 With so much recent F1 history and an incredible atmosphere courtesy of the fervent local fans, a trip to the Suzuka circuit is on the bucket list for many F1 fans. The circuit is a little out of the way, but the trip is worthwhile. Just pay attention to our tips below and come prepared! The good news is that the Suzuka website has been recently upgraded with lots of useful information in English for fans visiting the track; we have included plenty of links to relevant pages below. It’s worth getting organized before travelling to Suzuka. Aside from food and expensive F1 merchandise, there are no shops or ATMs at the circuit or the Suzuka Inou train station. (There are shops and ATMs at the Shiroko train station, but opening hours are limited and you may not get what you need.) Make sure you have sufficient cash, as well as other useful items such as sun cream, a hat, umbrella or wet weather gear. You’ll be walking a lot at Suzuka, so be sure to wear comfortable shoes. The Japanese are a polite, law abiding race of people. Read about Better Manners ‘for a more pleasant spectator experience’ at Suzuka including a list of prohibited items at the circuit. Eight entrance gates provide access to the circuit (see map). It pays to check the closest entry gate to your grandstand or you may have a substantial walk of up to 3km. The main gate is closest to the grandstands on the final corner (Q1-2, R, S) and pit straight grandstands (V1, V2). Free Friday: don’t forget that Suzuka offers ‘Free Friday’, which means you can sit in any grandstand for the first day of action (with the exception of the V2 Upper grandstand). This is a great opportunity to check out some views from different parts of the circuit. Click here for our top 5 grandstands at Suzuka. Follow the action: trackside commentary is now being offered in English; tune in to 87.5 FM on your own device or rent a radio at the track. Alternatively you can try out the free WiFi offered by the track to get updates via the F1 app or buy yourself a local SIM card. NTT Docomo is the best mobile network for coverage at Suzuka. Unfortunately, F1 Vision is not being offered at Suzuka this year. Useful 2018 downloads: Legends & F1 Drivers’ Appearance schedule, On-track schedule, 30th Anniversary Event information, Circuit Map. The support program at the Japanese Grand Prix has been disappointing in recent years. Aside from around 6 hours of F1 action, the only other competitive racing series on track this year comes from the Porsche Carrera Cup Japan. The schedule for 2018 also features Formula 1 Pirelli Hot Laps and special demonstration laps from legendary F1 cars and drivers to celebrate the 30th anniversary of the Japanese Grand Prix at Suzuka. F1 Infield Passes are already sold out for 2018 (these allow fans to get closer to the F1 Paddock entrance, and to also view the display of historic F1 cars. There is a good selection of food and drink available at Suzuka with reasonable prices. Expect to pay 150 yen for water ($1.20 USD), 250 yen for other drinks ($2 USD), 500 yen for beers ($4 USD) and a similar amount for food items. 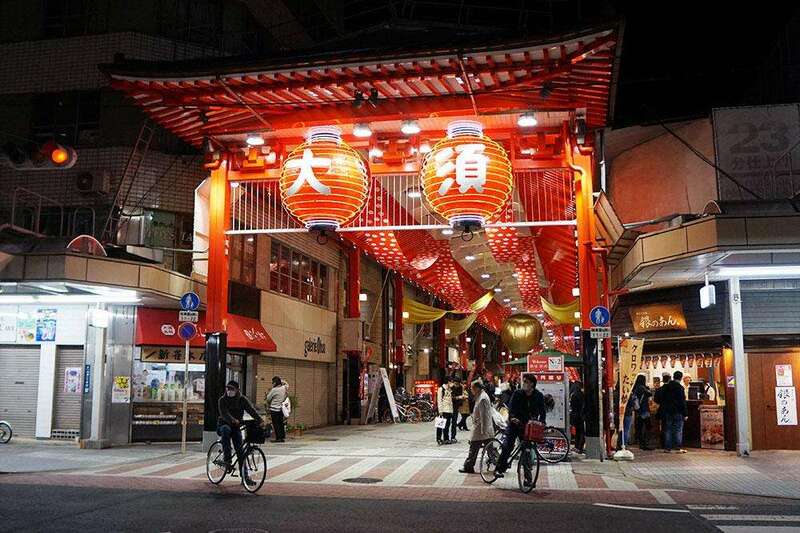 Choose from Japanese or Western food, including noodles, rice dishes and hamburgers. The best food choices are behind the main grandstand, but there are smaller concessions around the circuit. Three-day ticket holders get free rides on the iconic Ferris Wheel at Suzuka and it’s a must-do at the circuit. The views are spectacular, even if there is no on-track action at the time. Thursday is probably the best day to take a ride, as there are no queues. The GP Square area behind the main grandstand is the center of activity on Grand Prix weekend. In addition to being the place to go for the best food, drink and merchandise, there is also a stage with concerts. Been to Suzuka? Leave a comment with your trackside tips! Hey Andrew – Great info on this site , i was watching the suzuka web page and i can’t find anything about what are the things you can get and not to the circuit. I was searching for food and beverage , could it be possible to enter food (Sandwiches) and beverages in backpack to the racetrack? Hi Richard, thanks for the compliment! You should be fine taking in your own food to the track. Drink is less clear, but at least one bottle of water or other non-alcoholic drink should be ok. The trackside food and drink is actually not that bad, nor too expensive, but the queues at peak times can be a problem. Hi, me again. Is it possible to get onto the track after the race? Do you have any tips on this? Do you know what entertainment lineup is set for 2017. Hello, we will update this post for 2017 closer to the race. In the meantime, you can check the circuit website for updates. best reliable information I ever found on web!! thank you soooooo much for the info, making ticket purchasing much easier (purchased via your website, got V2 tickets)! Hi, we will update this page very soon! Hi there, is it possible to get just one ticket for a day? My fiance will be in Japan that week for his job, but only available on Saturday to go. Thanks! Hi, single-day tickets are only on sale for Friday, sorry. He could take his chances on the day, but I don’t know how successful he will be in getting a reasonably priced ticket. Hi I’m planning to get the package that includes the pitlane walk/tour around the track/etc but was wondering how hectic it is in pitlane walks? I am a relatively short guy (5’2″ lol) and was worried I might not be able to enjoy the pitlane walk, let alone see the teams/drivers in the garages, as I might easily get devoured by the crowed. Any tips for a short guy like me to enjoy pitlane walks and make the most of my money spent on the package? Thanks! I want to offer my husband an F1 experience, but I am undecided between the championship experience and the F1 Paddock Premier club. I would like you to advise me between the two, which would better? the first is to be in champions club and the second the first day in paddock club and The obter 2 days in stand B2 upper seating. I want to know is which of the two places I see the race better. my husband is a karting and off-road driver and I would also like to offer him a ride on the track with the ferrari or the Mercedes amg. him to drive. is it possible? How can I do it? Who should I contact? Is there any chance of listening to radio live commentary during the race? Does the circuit offer any services?